CHILDSECURE is a unique application for smart mobile phones which primarily serves to locate the current position of a child. The advantage compared to similar applications is the fact that the application uses not only GPS signal but also Wi-Fi network and BTS signal, i.e. signal of mobile operators. The application requires the position only in case of the query so there is no permanent discharging of the phones batteries. 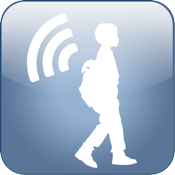 By just pressing a button you can see where your child is and information about who and when the child´s position requested will be displayed on the child´s smart mobile phone. So the application doesn´t spy the child unintentionally. One child could be inside applications of two adults. The application is available in 12 languages.